Pied Piper is a 5 reel, 40 fixed pay line, online video slot from the very talented folks at Quickspin. Quickspin is known for their entertaining and polished video slots. Their slots are often based on famous fairy tales and offer players low variance and high return to player percentages. The Pied Piper slot is based on the German fairy tale Pied Piper of Hamelin. In this rather gruesome tale, the enchanting Pied Piper uses beautiful music to lure kids away from their hometown, after the city council refused to pay him for his work as a professional rodent remover. The kids were never heard of or seen again (probably because they were dead). We told you it was a gruesome story, didn’t we? Luckily, the Pied Piper slot has a much happier storyline, which involves walking wilds, respins and a Pied Piper whose job it is to help you get some really nice wins. Pied Piper is played on a 5 x 4 reel setup, with 40 fixed pay lines. The maximum bet is £100 per spin, but you can also bet less, if you are feeling a little bit less adventurous. The minimum bet size is just 20p per spin. As with all Quickspin slots, this slot shines in the visual department. The symbols are cheerful, colourful and fun to look at. Alle the story’s main characters are included: the King, the Queen, their beautiful daughter, the Pied Piper and the mice. The Pied Piper and mice are wild and substitute for all symbols except the scatter symbol. Payouts for the premium symbols range between 2 x and 10 x the total bet size. The card symbols 10, J, Q, K and A pay out between 1 x and 1.25 x your total bet on a five-of-a-kind on an active pay line. All symbols can appear in stacks. A Piper Wild symbol landing fully on any reel triggers the Piper Respins feature. This feature can be triggered both in the base game and during the free spins bonus. For each respin the Piper Wild symbol, and any Mouse Wild symbol on the reels will walk one reel to the left. You will get free respins as long as the Piper Wild symbol is present on the reels. The Pied Piper can also walk back in from the right of the reels, awarding 5 additional respins. Three scattered Bonus Scatter symbols in the same spin will initiate the free spins bonus. You are awarded 1 to 6 guaranteed randomly added Mouse Wild symbols every spin. During the free spins, it is possible to trigger the lucrative Piper Respins feature. The Pied Piper slot offers players an excellent theoretical return to player of 96.32%. The variance is on the low side of medium. 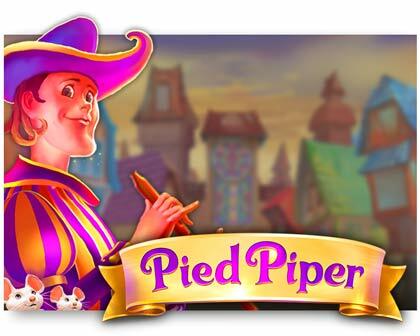 In other words, if you are looking for an online slot to clear a welcome bonus, Pied Piper is an excellent choice. Of course, there are no guarantees that you will clear the bonus wagering requirements before your balance runs out, but you do have a realistic chance. And even if you fail, you will have a good time doing so. Quickspin has once again released an enjoyable, high-quality slot. The game offers some unique and exciting bonus features which can pay out nicely (especially the free spins bonus). Visually, this slot is very pleasing, with bright and colourful symbols and smooth turning reels. Play Pied Piper at Slots Million with a 100% bonus up to £100 and 100 extra spins.